Last weekend was pretty busy, riding-wise. I went over to Motorcycles Unlimited on Friday to pick up the R1200ST with new Ohlins shocks installed front and rear. Patrick had us up on a lift setting up the suspension for my weight + the luggage. 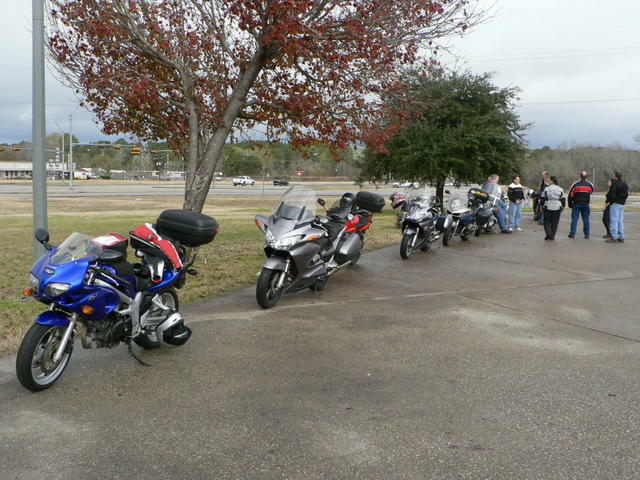 On Saturday morning, I rode up to Huntsville for a ride instigated by JacknTexas. We followed Debbie out to Colmesneil via twisty backroads. Lunch was homestyle cooking at the Texas Star Cafe. After lunch, Rebecca, Debbie and I decided to continue east for a few more rarely traveled twisties. About 20 minutes after leaving Colmesneil, we hit rain. 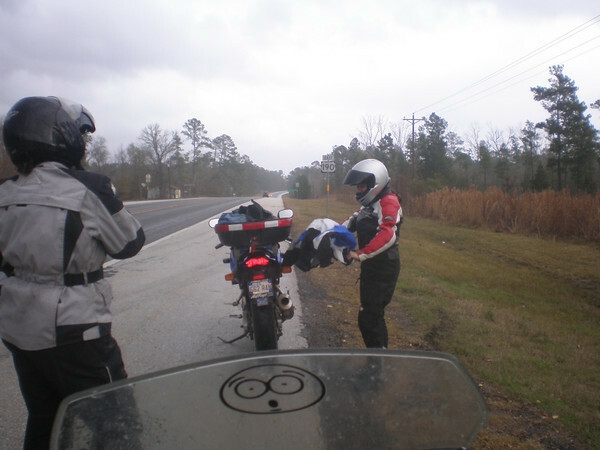 We shrugged it off and continued on, running FM777 and FM1414 in the downpour. 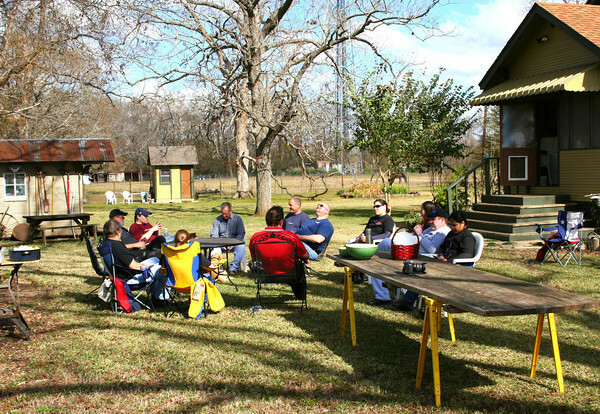 We stopped in Burkeville, a stone’s throw from the Louisiana border to regroup before slogging home via 190. As Rebecca put it, “None of us wanted to ruin the others ride by turning around!” I think we were all pretty miserable on tight curves in the rain. On Sunday I took the F650GS out for our first unpaved….ummm… road? Ara (Beemerchef) was in town on his way to Georgia. 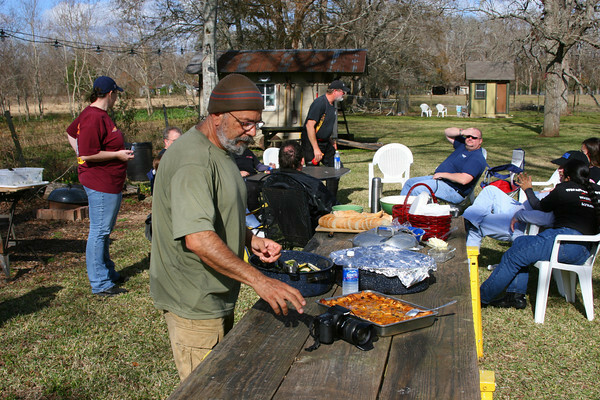 His host was holding a BBQ in his honor at an acreage southwest of Houston. The driveway was long and unpaved, but the GS (or should I say *I*) had no problems. I took no pictures. All pictures stolen from others, but hosted on rocketbunny. This entry was posted in Day Rides. Bookmark the permalink.